Earlier this summer, I had the opportunity to visit the Western History Center at Case Western University in Cleveland. Sean Martin, the archivist of Jewish community materials, was kind enough to meet me after I inquired about the records for the Cleveland Orphan’s Home, where my great-grandfather Harry Michael Harris was an “inmate” (the term used for residents) after his mother passed away. On that same trip I visited the Maltz Museum of Jewish Heritage, which had a wonderful exhibition about the history of Jews in northwestern Ohio. I got to wondering: What’s our equivalent in Denver? There’s no permanent exhibition of Colorado Jewry, which is indeed a shame considering the colorful and instrumental role Jews have played here, but we do have the Beck Archives at DU. So I set up an appointment with our local Jewish archivist, Dr. Jeanne Abrams. While the archives function primarily for research purposes, it maintains a small rotating exhibition in the Fogel Family Reading Room at the Anderson Academic Commons main library comprised of personal artifacts like a wedding dress and ritual objects like a Torah breastplate from the JCRS synagogue. Behind the scenes is a trove of documents, reminiscent of those that Martin shared with me in Cleveland. Letters, photographs, books, meeting minutes — the minutiae from which we try to reconstruct the past. 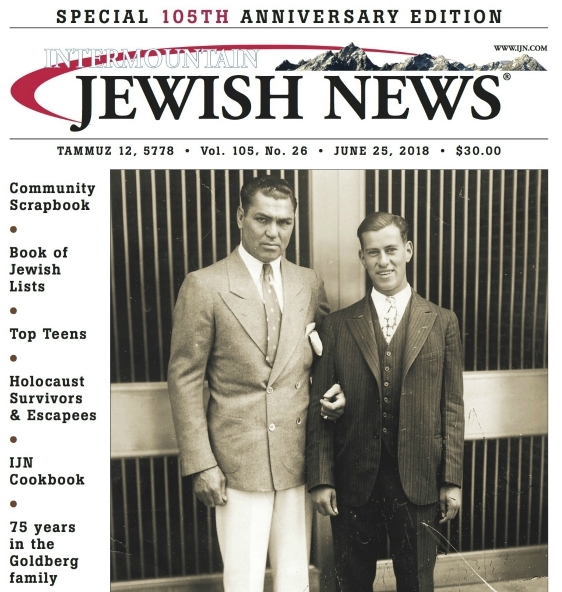 Preservation, or history, is not often the first port of call for philanthropists focused on the future of Jewish life, but Dr. Abrams informs me that Colorado Jewish history will be part of a new communities area planned at History Colorado. Hopefully it will come to fruition, as it may be the only way that visitors to Denver will discover its Jewish roots. Or, do like I did, and make an appointment at Beck. Dr. Abrams welcomes your call.